When leaders from across the Euro-Atlantic region meet at the Munich Security Conference this week, the “win-lose” framework defining relations between Western countries and Russia will be entering its fifth year. The longer this continues, the tighter the resulting knot of distrust will become – and the greater the risk of the ultimate “lose-lose” scenario: a military conflict. We must work together to cut this knot, and now. The four of us, and together with a group of former and current senior officials and experts from across the Euro-Atlantic region – the Euro-Atlantic Security Leadership Group (EASLG) – believe that, despite significant differences, the United States, Russia, and Europe can and must cooperate on areas of vital common interest. Together in Munich, we will be presenting and discussing our ideas to improve the security of all people living in the region, beginning with reducing nuclear and other military risks. Reducing and eliminating nuclear risks is an existential interest that all countries share. We have entered a new era, in which a fateful error – triggered by an accident, miscalculation, or blunder – could trigger a nuclear catastrophe. In the Euro-Atlantic region today, the risks of such an error are compounded by heightened tensions between NATO and Russia – and little communication between military and political leaders. In the absence of some positive initiative, we will continue to drift toward danger. In Munich, the EASLG will call on governments to work together to mitigate the risks of nuclear conflict. First, leaders of the region’s nuclear weapons states should reaffirm the principle that a nuclear war cannot be won and must never be fought. Agreement on this principle would send an important message – that leaders recognize their responsibility to work together to prevent nuclear catastrophe – and could be a foundation for other practical steps to reduce the risks that such weapons pose. Second, countries should work to preserve and extend existing agreements and treaties that are crucial to sustaining transparency and predictability. The demise of the arms control architecture will dramatically increase nuclear risks for all Europeans and indeed the world. This year may be crucial. 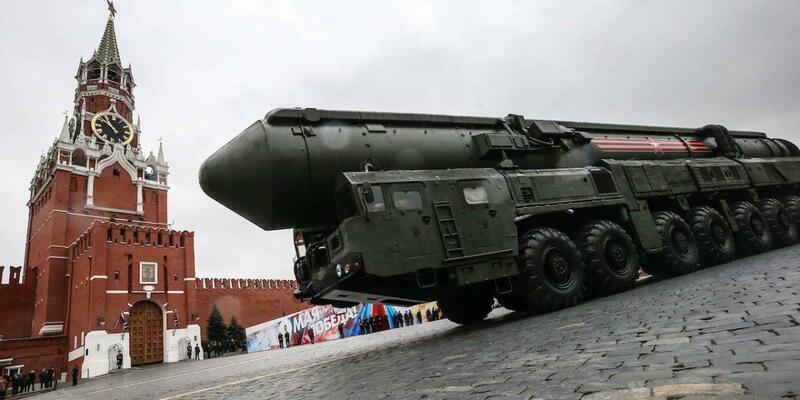 All countries in the Euro-Atlantic region have a shared interest in preserving the 1987 Intermediate-Range Nuclear Forces (INF) Treaty between the United States and Russia, and should insist on full compliance by the parties to that agreement. Similarly, all countries in the Euro-Atlantic region have a stake in the full implementation of the 2010 US-Russia New START Treaty and its mutual extension through 2026. Third, all countries should support full implementation of and strict compliance with the Joint Comprehensive Plan of Action with Iran. The JCPOA is a crucial bulwark against the spread of nuclear weapons in the Middle East. We should be building on its success, not contemplating its termination. Actions by any country that precipitate the JCPOA’s demise or violate its terms will increase nuclear dangers in the region and weaken the international community’s ability to address nuclear dangers around the world. Finally, we must recognize the hard truth that cyber capabilities transform nuclear risks by increasing the probability of accidents, miscalculations, or blunders. These risks are compounded by the potential for cyberattacks by state or non-state actors that lead to the theft of nuclear materials, sabotage to a nuclear facility, false warning of a missile attack, or intrusion into nuclear command-and-control systems. In Munich, the EASLG will call on governments to work together to reach at least informal understandings about cyber dangers relating to nuclear facilities, strategic warning systems, and nuclear command and control. We must start by developing clear “rules of the road” to prevent the catastrophic consequences of a cyber attack on a nuclear facility or of a war launched by mistake. The Euro-Atlantic region is confronting a range of significant issues today. But none should distract its governments from the urgent pursuit of practical steps to reduce real dangers. The steps we have identified here are the right place to begin; and we must begin now, before we can no longer prevent the final failure. Desmond Browne, a former British defense secretary, is Vice Chairman of the Nuclear Threat Initiative and Chair of the European Leadership Network. Wolfgang Ischinger, former German Ambassador to the United States, is Chairman of the Munich Security Conference and Professor for Security Policy and Diplomatic Practice, Hertie School of Governance in Berlin. Igor S. Ivanov, former Russian Foreign Minister and Secretary of the Security Council of the Russian Federation (2004 to 2007), is President of the Russian International Affairs Council. Sam Nunn, a former Democratic US senator, is Co-Chair of the Nuclear Threat Initiative.